What have I been up to since arriving in the spouse's kampung 10 days ago? It has been a leisurely and peaceful stroll, without (well, not as much as in KL) a care - an absolute lenggang kangkung! The spouse had a nasty cough and cold for the last 5 days but he's picking up sans any medication, just a good dose of sleep and rest. As people in Malaysia like to put it - 'no sweat'- literally and figuratively. This photograph shows the reflection of my refuge on the outside world at 5 am. I took this photograph just an hour ago, at 5 am. The rest of Leicester is still asleep but AsH treasures such solitary moments. So, what have I been up to this winter? 1. I gave myself a present - a beautifully embroidered picture of clouds, greenery, apple trees in Spring and the top of a stone wall - sewn by our best friend and master embroiderer Jack Marlowe. Jack is almost 80 and despite his arthriticky fingers, he perseveres with his embroidery and gardening and spoiling his four cats Allegra, Gingerlation, Ichabod and Schtanley. And, talking about cats - I miss our three cats very, very much - they define our raison d'etre in Kuala Lumpur. Rusty - splendour in the grass. Comot loves to take a nap on the printer. Comot - tired out after helping me with my printing. 3. Feeding my mind as well, on my cosy couch. 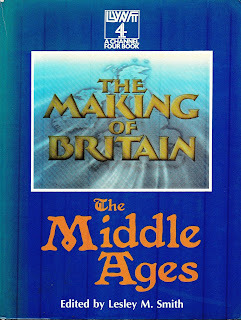 Book 1: Hundreds of programmes, but less than ten are worth watching. My latest fad is gratifying myself with old koboi programmes like The High Chaparral, Gunsmoke, Alias Smith and Jones and Star Trek. Wottalife!! 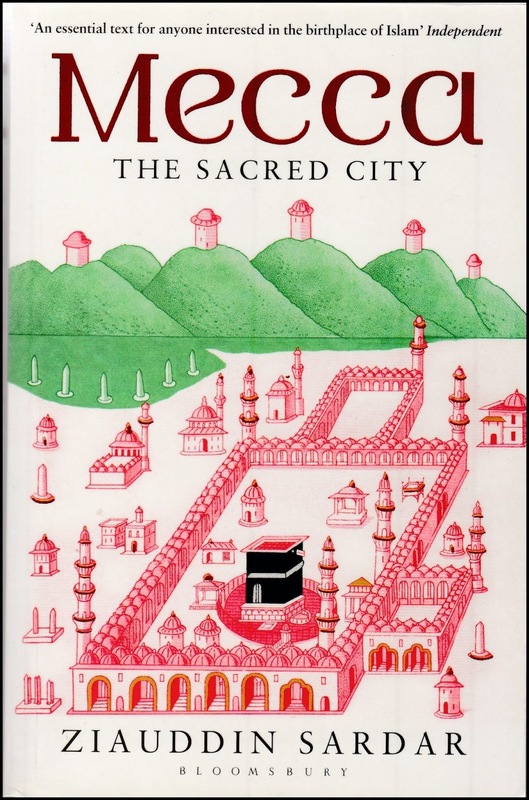 Book 2: "Ziauddin Sardar was born in Pakistan and grew up in Hackney. A writer, broadcaster and cultural critic, he is one of the world's foremost Muslim intellectuals and author of more than fifty books on Islam, science and contemporary culture, including the highly acclaimed Desperately Seeking Paradise." I've got only as far as Page 91 but here's an excerpt from one of the most touching parts of the book (Page 39-40). A select group called on Abu Talib again. How could he allow his nephew to curse their gods, insult their religion, mock their way of life, and accuse their forefathers of error? Abu Talib was left in no doubt: "Shut your nephew up or we will." We now know that the relationship between Abu Talib and his nephew is crucial to the success of his mission and yet curiously paradoxical at the same time. Everything we know about it indicates a warm bond of affection. In accordance with the custom of his clan, Abu Talib took Muhammad in as a seven-year-old orphan. He raised and nurtured the boy, taught him the rudiments of trade and commerce, and exposed him to the wider world by taking him on trading expeditions. It is thanks to his uncle that Muhammad secured his place in Meccan society. Abu Talib was not declaring himself a convert. He was a fond uncle accepting the sincerity of his nephew's cry of conscience, no matter how troublesome or disconcerting that might be to the rest of society. And what is the paradox? What Muhammad preached sought to overturn, indeed to replace entirely the ethos and conventions of tribal solidarity. Yet it was this very principle extended and guaranteed by Abu Talib that secured Muhammad's personal safety and hence his ability to continue his mission. It is a paradox of human dynamics, of how the progress of new ideas often rests on the survival of old ways. Yesterday (Tuesday) I made my usual foray into Leicester Animal Rescue (LAR) my favourite charity shop/shopping mall. I noticed this book "The Making of Britain - The Middle Ages" in a box marked '50p' just outside the shop. 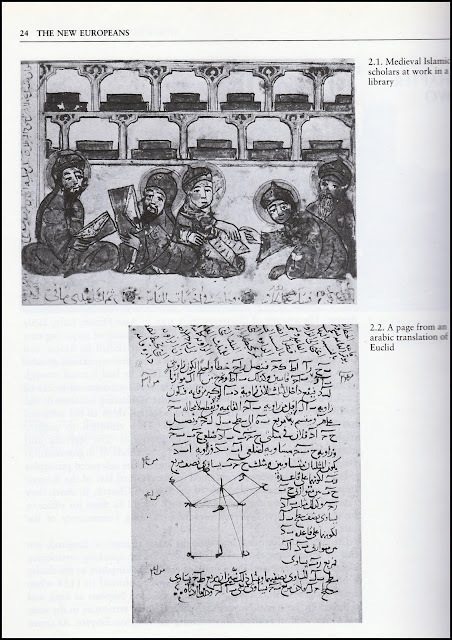 As I flicked through the pages, I came across page 24 which had the illustrations 'Medieval Islamic scholars at work in a library' and most fascinating of all 'A page from an Arabic translation of Euclid''! It was worth 50p and more. I took it home, skimmed through the contents, and discovered more. 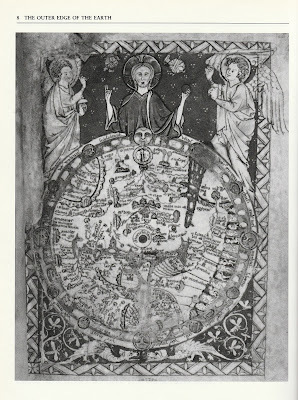 An eleventh century map of the world. 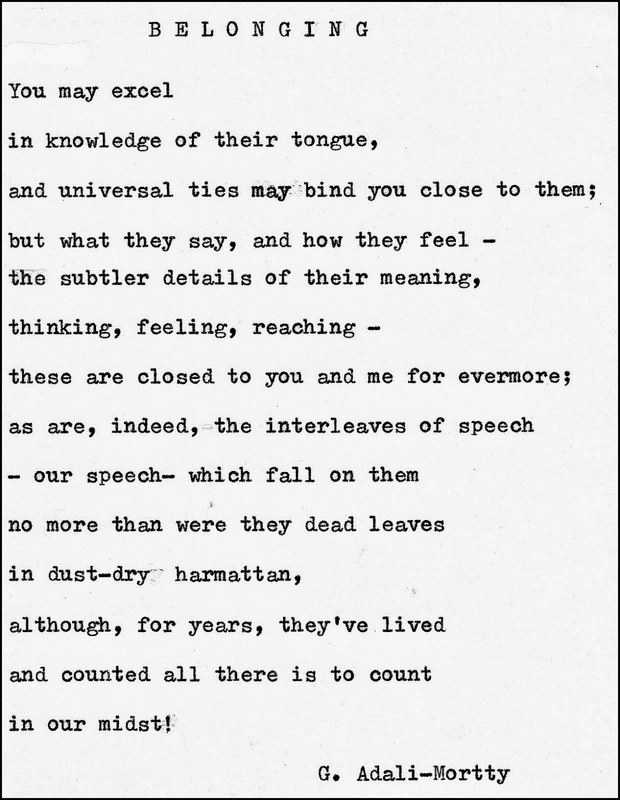 (from page 8). In this map, the Mediterranean is the centre of the land mass and Jerusalem as the çentre of creation'. Intellectually, this view of the world linked medieval scholars to what they had read of classical antiquity, and to the world of St Paul and St Augustine. At the same time it shows us how, to them, Christendom seemed hemmed in by heretics and infidels. 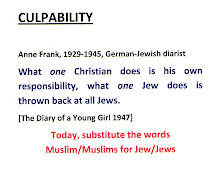 It makes us realise why, when Pope Urban II in 1095 called for volunteers from western Europe to go to the help of Christians in the East, it was interpreted as a call to liberate Jerusalem from the clutches of Islam. Yet the odd fact is that when the First Crusade set out, Jerusalem had been in the hands of the Moslems for over four hundred years ......... Crusading zeal for the expulsion of the infidel was something quite new in the eleventh century and it was profoundly shocking to native Christians and Moslems of the Near East who for generations had learned to live together in mutual respect. Alas, history has a way of repeating itself. And who controls Jerusalem today? But with all my blessings : with my cats, my books and food on the table and all my home comforts. I cannot obliterate the sufferings of so many in the Middle East and especially in Palestine. The following image and extracts are from Mondoweiss 13 December.